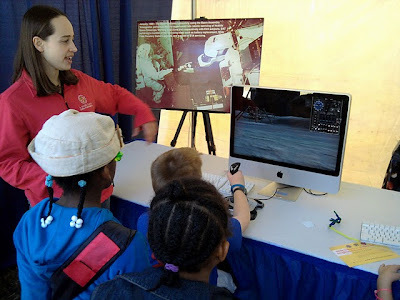 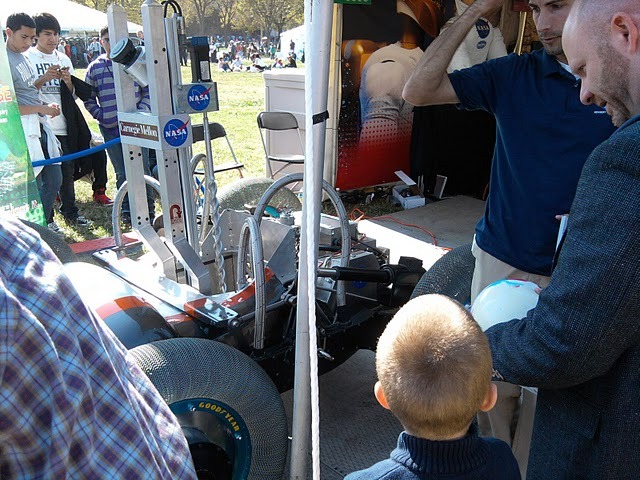 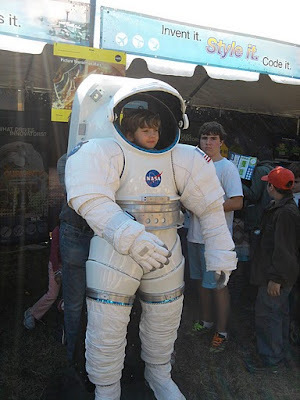 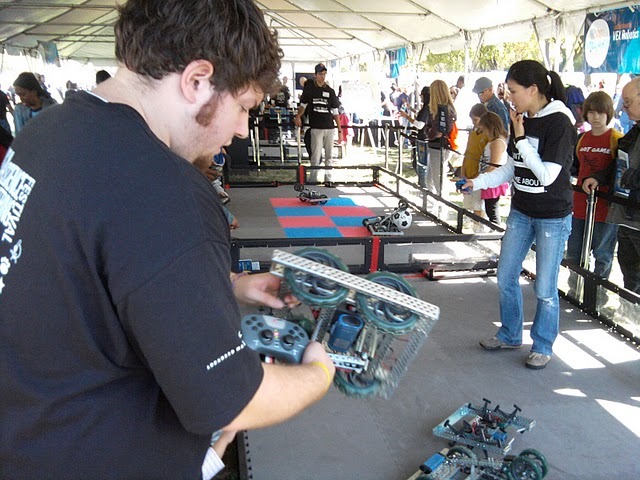 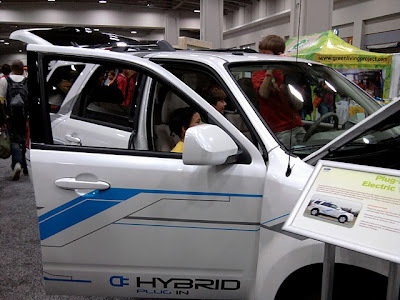 This past weekend our Nation's Capital transformed into a clean energy utopia as the inaugural USA Science and Engineering Festival brought the best and the brightest to the Mall and the annual Green Festival took place at the Walter E. Washington Convention Center -- the largest sustainability event in the country. 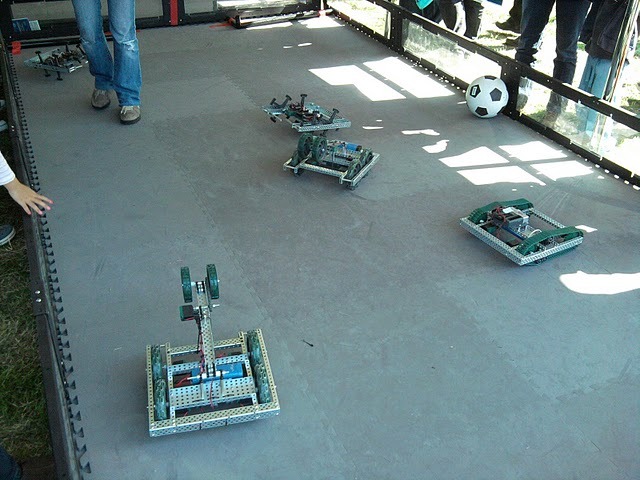 Here are pictures I took from the two events. 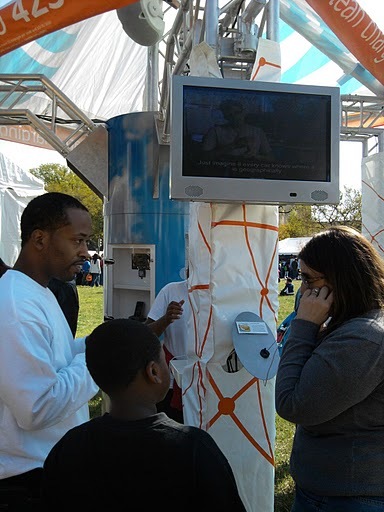 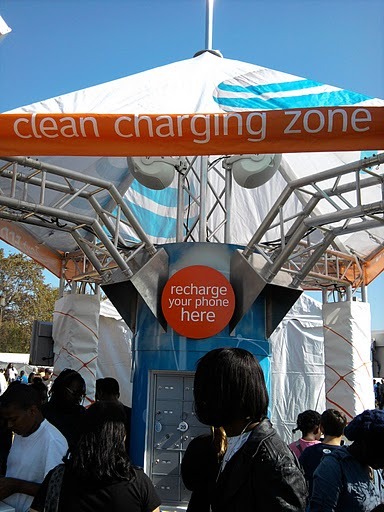 AT&T's clean energy cell phone charging station was a popular draw. 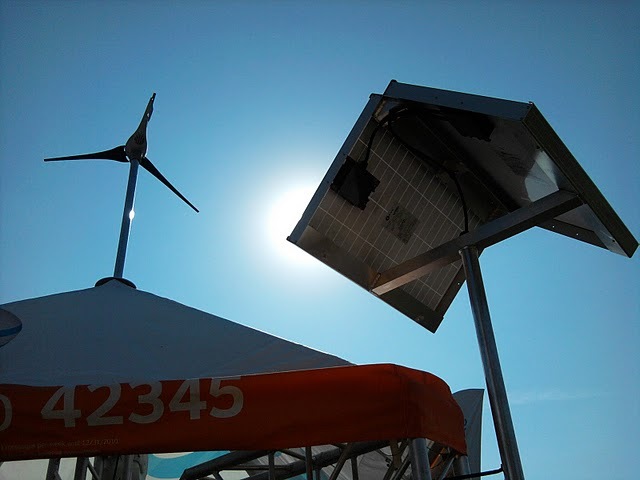 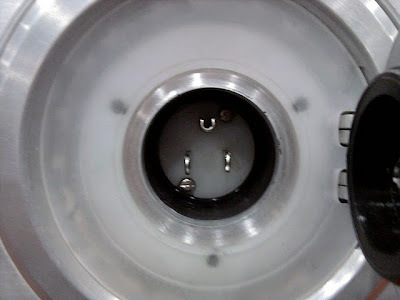 A small wind turbine and solar panels provided the power to juice up hundreds of phones. 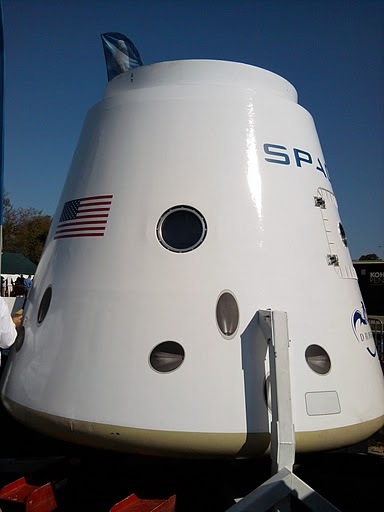 An engineering model of SpaceX’s Dragon spacecraft that NASA will use to haul cargo to and from the International Space Station after the Space Shuttle retires, and that will one day carry astronauts. 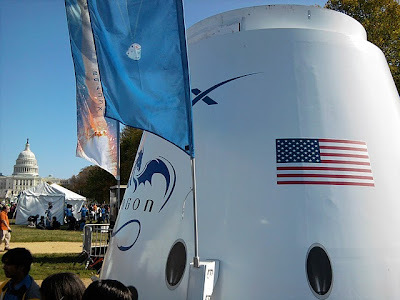 Dragon is set to make its inaugural flight this year. 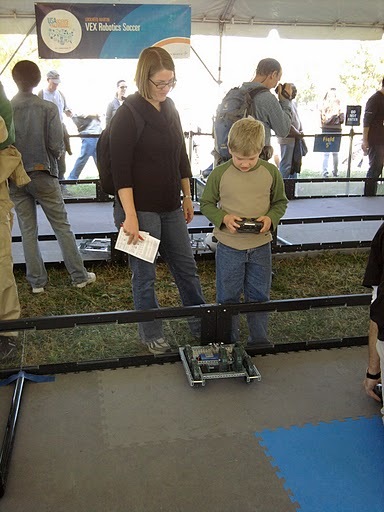 These remote control robots were popular with the kids. Greenpeace always finds a way to get your attention. 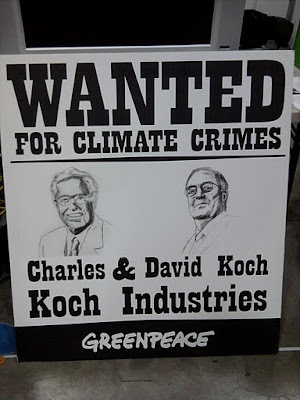 The Koch Brothers are helping to finance Prop. 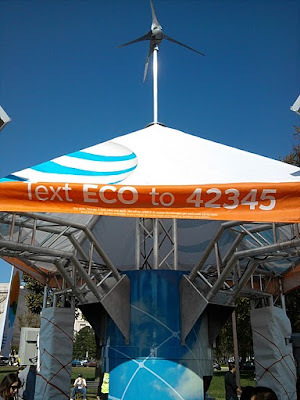 23 -- a ballot measure this November that would suspend California's global warming law -- AB 32. 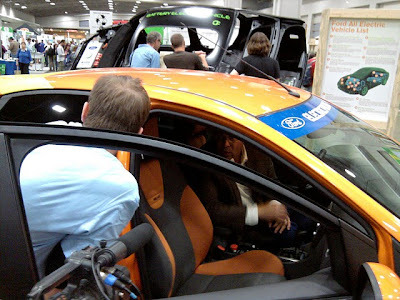 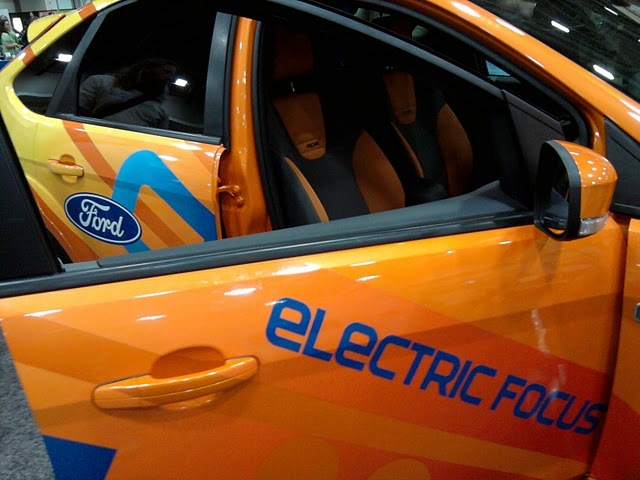 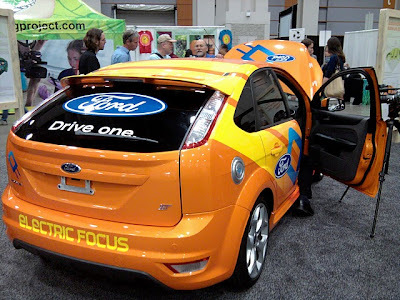 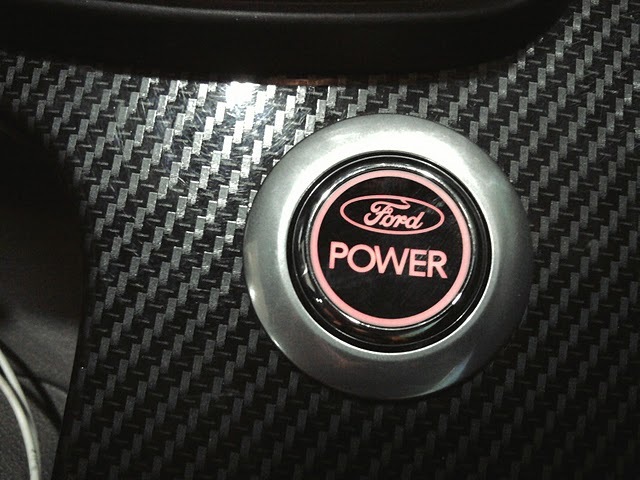 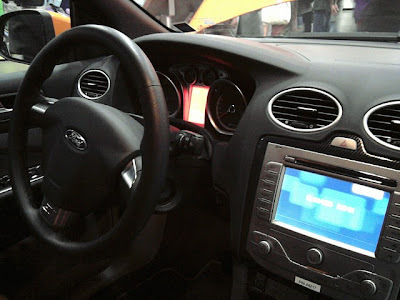 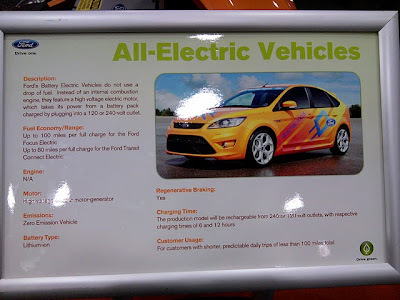 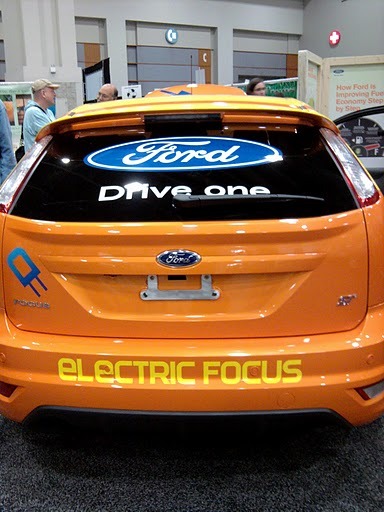 Ford was a major sponsor of the event and they showcased their new green fleet of vehicles, including an all-electric Ford Focus that will have a range of 80 to 100 miles on a single charge and be available to consumers at some point in 2011. 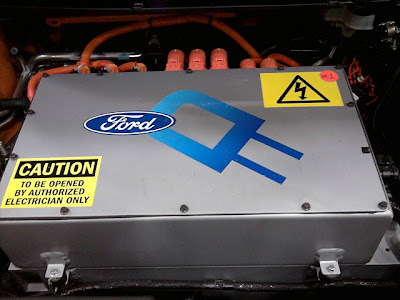 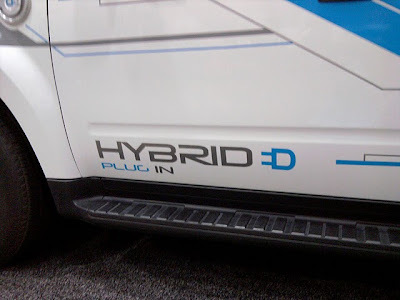 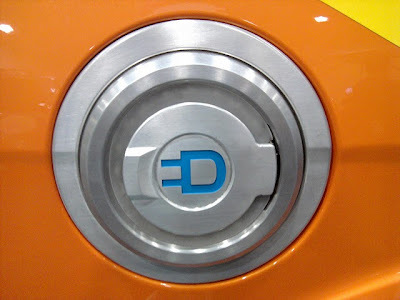 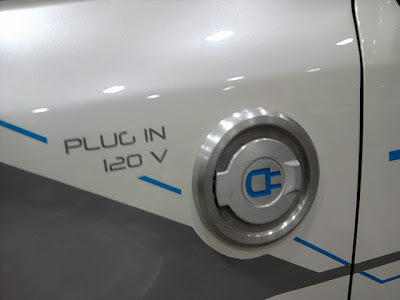 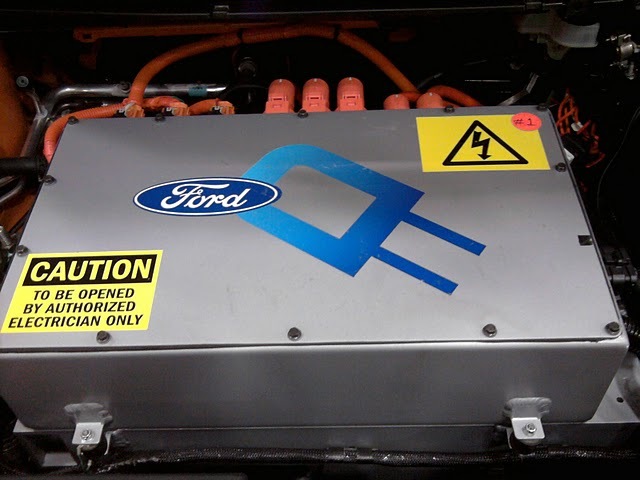 Also on display was the Ford plug-in hybrid Escape that will use electricity for the first 30 miles or so before blending gas and electricity as required. 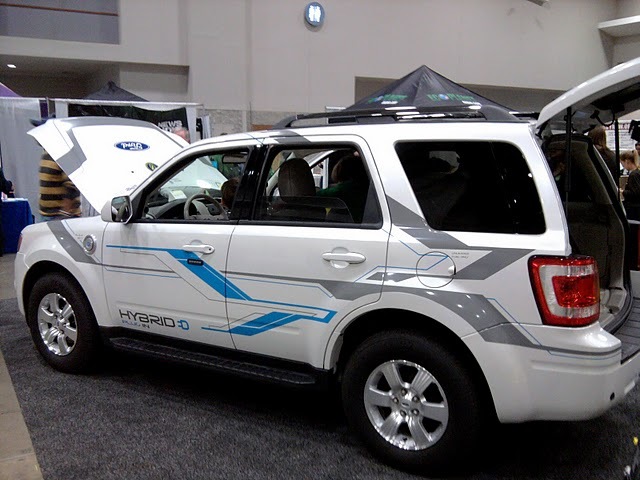 The Escape is capable of 120 miles per gallon.